Lodz is the third-largest city in Poland, located approximately 85 miles south of Warsaw. 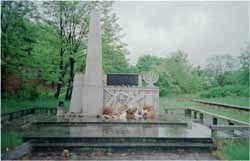 Jews first began settling in Lodz in the late 18th century. Jews began settling Lodz in the late 1700's. In 1793, there were 11 Jews living in Lodz. This number increased, by 1809 (while under Prussian Rule), to about 100 and to 259 in 1820. At that time, the Jewish community began to be organized and had built a synagogue. A cemetery was opened from 1811 until 1892, unfortunately it was destroyed in World War II. Lodz fell under Russian control in the 1820's. During this time, Jewish factory owners, merchants, bankers, industrialists and blue-collar workers played an important role in developing Lodz's economy, and the city became an important industrial center. Restrictions were placed on settling and owning property in the city, as well as selling liquor. The restrictions eased when it was announced that in 1827 Jews could buy building sites and could build and own homes in certain districts. The Jews, who were allowed to live in the city had to assimilate, i.e., speak Polish, French or German, send their children to general schools and forgo wearing traditional Jewish clothing. In 1848, the Czar of Russia lifted the limitations on Jewish settlement in Polish cities. Decrees in 1861 and 1862 abrogated the concept of a separate Jewish Quarter in Lodz. Some Jews settled throughout the city, although many decided to remain in the former Jewish quarter, "Alstadt." An orthodox synagogue, the Alte Shul or the Stara synagogue, was opened in 1860. Renovations took place in 1897, it was burned down in 1939 during the Nazi occupation of Lodz. A reform synagogue opened in 1883. The wealthy, Jewish factory owner, I.K. Posnanski oversaw its construction. At the time, it was the largest structure in the heart of the city and was known as the "Great" Synagogue. It too was burned down in 1939 during the Nazi occupation. A third synagogue, the Vilker Shul, was opened in 1899 and was demolished in 1939 with the rest of the synagogues. By 1897, the Jewish population of Lodz numbered nearly 99,000. Jews were an integral part of the textile industry of Lodz, which was known as the "Manchester of Poland." Jews owned 175 factories by 1914. One of the most well known plants was the I.K Poznanski plant, which was one of the largest textile plants in Europe. World War I devastated the city of Lodz. Many factories were destroyed. Jewish industrialists were not given financial support from the government to rebuild. Anti-Jewish policies were enacted in the inter-war period; nevertheless, Jews continued to work and prosper. The ready-made tailoring industry was almost entirely composed of Jewish tailors. Jews were also active in building and related industries. Jewish merchants formed a union and other smaller Jewish unions existed for the tradesmen and retailers. Members of the Jewish trade unions were approached by the Bund, a Jewish socialist movement, as well as the Po'alae Zion and Polish Socialist Party for their votes for the Jewish Community Council of Lodz. Jews also maintained a vibrant social life in Lodz. In 1924, the first democratic elections for the Jewish community council of Lodz were done. The Jewish community was responsible for maintaining a kosher slaughterhouse, a mikva, and education for the poor and charitable organizations. In the inter-war period, a soup kitchen was open for the poor, as well as bikur holim (visiting the sick) societies. B'nai Brith had a lodge in Lodz in 1926 that supported ORT vocational schools, orphanages and other cultural institutions. A diverse educational network was established in Lodz during this period. A number of yeshivas as well as schools teaching Polish and Hebrew opened. The Reformed Movement had its own heder (a small school for elementary school children). The first Jewish gymnasium in Russia was built in Lodz in 1912, by Markus Braude. A Yiddish school was established in 1918, as well as a Jewish school for girls in 1924. 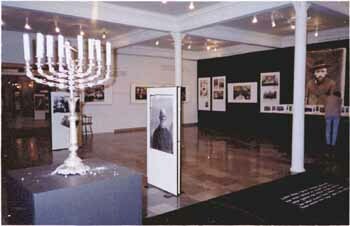 A number of famous Jewish artists and writers were born or lived in Lodz. Arthur Rubinstein (1887-1983), a world-renowned pianist was born in Lodz, as well as the famous composer Aleksander Tansman and the poet Julian Tuwim. Poets Itzhak Katzenelson, David Frischman and Jacob Cohen lived and worked in Lodz. The city had its own Jewish drama companies and theater and was home to many famous Yiddish actors. Zionism spread to Lodz in the early 1900's, following the first Zionist Congress in 1897. Zionists were involved in the revival of the Hebrew language and culture. Anti-Semitism became prevalent in the 1930's due to Nazi propaganda. Organized attacks wounded and killed Jews in April 1933, May 1934 and in September 1935. Wealthy Jews were arrested in 1938 and guards were placed outside Jewish shops to prevent non-Jewish customers from entering them. Prior to World War II, the Jewish population of Lodz numbered about 233,000, roughly one-third of the city’s population and the second largest Jewish community in Europe. At the outbreak of the War, many Jews left the city, in fear of persecution, to settle in Warsaw and other cities in the General Government or to the territories occupied by the U.S.S.R. The German army entered Lodz on September 8, 1939. 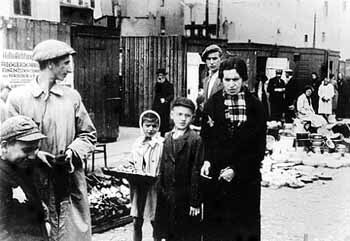 The Germans forced many Jews to leave Lodz and deported them to cities in the General Government. Between September 30 and May 1, 1940, 70,000 Jews left Lodz. The Lodz ghetto was established in February 1940. About 200,000 Jews were forced to live in the ghetto. On March 1, 1940, bloody Tuesday, the Germans organized a pogrom to drive more Jews into the ghetto. The ghetto was officially sealed in May 1940. A network of 70 factories was built in the ghetto to produce goods for the Wehrmacht. It is estimated that the Lodz ghetto factories generated $14 million in profit for the Germans. A Judenrat was established, with Mordechai Rumkowsky as its head. It had many departments, such as the health department, which organized public kitchens in the factories and schools to feed the workers and students, the agriculture department, which allotted small garden plots to the residents. It also had an archives department, which kept official documents and chronicles of the daily life of the ghetto. Many of these documents survived the war and were given to the Jewish Historical Institute in Warsaw. There was also an education department, which ran 45 primary religious and secular schools, as well as two high schools and a vocational school. Secret yeshivas were also organized, along with an orphanage and a children's summer camp. The ghetto also maintained its own court and prison system. Political and social groups met secretly and taught members about their ideology and organized demonstrations and strikes against the factories. Life seemed to continue as normal, despite German deportations of more than 15,000 Jews from the ghetto to labor camps. The period of autonomy ended in September 1942, with a set of mass deportations to death camps at Chelmno. 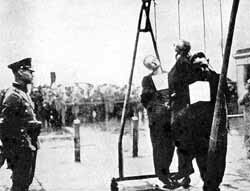 The "Gehesperre" Aktion was carried out and 16,000 Lodz Jews were murdered, including children, elderly and the sick. A mass liquidation campaign was started and the Lodz ghetto became a de facto labor camp. The Jewish administrative departments ceased to function. The number of factories increased to 119 and the Germans took control of all the internal matters. Approximately 45,000 Jews died in the ghetto of starvation and disease, including epidemics of typhoid fever, dysentery, typhus and tuberculosis. On September 1, 1944, the whole ghetto population (more than 76,000) was deported to Auschwitz. The Lodz ghetto was the last ghetto to be liquidated in Poland. Only 800 Jews, the Aufraeumungskommando (the detachment that cleaned up the dead, helped with the deportation of Jews and dismantled the factories) and those in hiding (about 70) remained in the ghetto when it was liberated by the Soviets in January 1945. Approximately 5-7,000 Jews from the Lodz ghetto survived the war. Within two years after the end of German occupation of Lodz, the Jewish community was rebuilt to be the second largest in Poland. More than 50,000 Jews settled in Lodz by the end of 1946, many of whom lived in the USSR during the Holocaust. Jewish institutions were rebuilt and operated until 1950, when Poland fell under complete Soviet control. Half of Lodz's Jewish population left for Israel by 1950. A second wave of immigration to Israel took place in 1956-57. Only a few thousand Jews remained, however, most of them left after an escalation in anti-Semitism following Israel's Six-Day War in 1967. Today only a few hundred Jews live in Lodz. 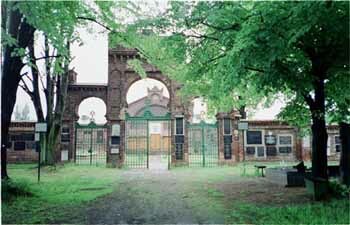 In 1968, facing criticism and pressure from the government, the only full-time Jewish school in Lodz closed it's doors. For the next 47 years, after the close of the I.L. Peretz school, Jewish youth in Lodz did not have a full-time Jewish education option. The first Jewish day school to open in Lodz since the closure, the Gan Matanel school, welcomed it's first students in September 2015. Most of Lodz was looted or destroyed during the Holocaust, including one of its main synagogues, the Alte Shul, which was built in 1809. Only one synagogue, from the late 18th century, remains and is functioning; it can be found on Rewolucji St. 1905. The synagogue survived World War II because of its location, hidden in a corner of the ghetto. There is also the site of the former Bet Midrash located on ul. Piotrkowska 114/116. Originally built in 1899, it was used as a kosher slaughterhouse. It is currently undergoing restorations. A new cemetery was founded in 1892 to replace an earlier one, which no longer exists. Before the war, this new cemetery contained more than 180,000 graves, some of which still remain. It was the largest Jewish cemetery in Europe. The tombstones are elaborate and contain Judaic symbols and folk art. There is a mausoleum for the Jewish factory owner I.K Poznanski, which is as large as a house. The Poznanski mansions are open to the public. His domed mansion on ul Ogradowa 15 today houses the city's historical museum. Next door is his factory, which is still in use. Two other Poznanski mansions are still standing, one on ul Gdanska 32, currently a Musical Academy and one on ul Wieckowskiego 36, currently housing the Museum of Art. One can also visit mansions, banks, and textile factories of other Jewish industrialists from the late 19th century, including a textile factory belonging to Markus Silberstein, on ul Piotrkowski 242/248; a former mansion and bank belonging to Makysymilian Goldeder on ul Piotrokowska 77 and an ornate bank formerly owned by Wilhem Landau found at 7l Piotrokowska 29. Holocaust photos courtesy of Andrew Kobos' Shoah - The Holocaust site. 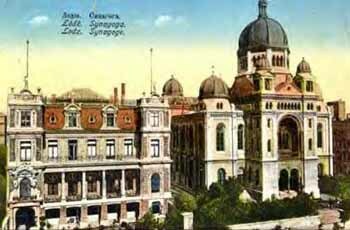 Photo of the "Great" Synagogue and Vilker shul are from postcards reprinted with permission of the ShtetLinks Site for Lodz. Cemetery and memorial photos courtesy of Pawel Brunon Dorman from The Polish Jews.